Pollsters read survey results about upcoming elections in a very circumscribed sense, as a snapshot in time (as the well-worn yet apt characterization goes), while the rest of the world tends to view them as predictions. In particular, trial ballot questions are often viewed as predictive of what will happen on Election Day. If you read about the latest University of Texas/Texas Tribune Poll last month, you no doubt noticed that some of its “predictions” did not match up with the actual outcomes of Tuesday’s primaries. A situation with (a) a lot of unformed or nonexistent opinions of candidates and (b) active campaigning in multicandidate races with no distinguishing party labels in a notoriously low-turnout election was, and is, likely to create volatility in results and uncertainty about the composition of the electorate. This volatility, particularly in the weeks leading up to an election, as voters slowly begin to pay attention, is why campaigns invest in daily tracking polls if they can afford them. As several candidates found out Tuesday, the past, even the relatively recent past, is always an imperfect guide to the present. There are several factors that might explain the differences between the election results and our trial ballot numbers in 2014. The seemingly obvious reason is that many of the campaigns, having limited resources, waited until the final few weeks to make the most of their advertising buys, presenting themselves (or their opponents) to the voters, in many cases, for the first time. We intentionally came out of the field just before early voting began to avoid measuring two different things but treating them as one: a reported recollection of one’s early vote and a prospective assessment of one’s likely vote. The problem lies in the fact that the effect of a late surge in campaigning is arguably larger in low-information, low-turnout elections like this one, because most voters form their preferences and eventual vote choices based on very little information and/or a limited set of criteria about the candidates. The composition of the electorate is another important factor. The best way to know what the electorate will look like is to know what it has looked like in the past, and for Texas primaries we don’t have systematic information of that kind. Exit polling in non-presidential primaries is rare, and the most recent primary exit polls for Texas are from 2008. As an alternative to the missing exit polling, we can reverse-engineer the likely electorate based on Tuesday’s results and our polling data, as we have in the table below. 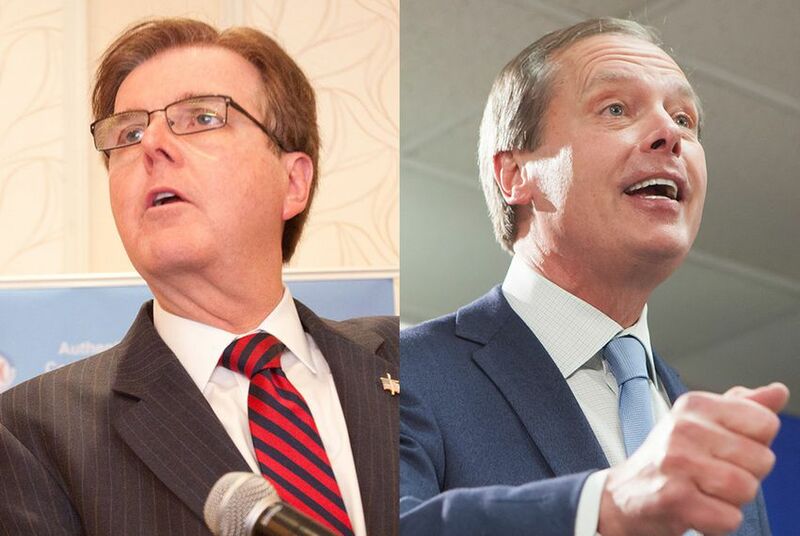 Focusing our attention on the Republican primaries for lieutenant governor and attorney general — two contests in which our poll showed the eventual runner-up as the leader — we see a GOP primary electorate that was, above all else, very conservative and very much aligned with the Tea Party sentiment that many in the media have begun to dismiss. We expect the primary electorate to be ideologically conservative; the likely voter screen should capture a greater share of these voters while also capturing those who vote regularly for reasons other than ideological commitment — civic-minded voters, party stalwarts and the like. The tables show us that the 1.3 million voters who turned out for the Republican primary (only 9.6 percent of registered voters) largely came from the most conservative quarters of the Texas GOP. See, for example, how closely the preferences of those who favored Ted Cruz over more moderate Republicans in the 2016 presidential primary trial heat resembled the final result in the GOP attorney general race. However the results of UT/TT polls are viewed, our practice is to be as transparent as we possibly can be with our public opinion data, making every survey, codebook, methodology statement, crosstab and data set available to everyone and anyone who wishes to run their own analyses (or simply take a closer look). The results from this election will have us re-examining our likely voter screen, especially in low-turnout elections. We’ve written about this screen extensively and, in the case of last year’s poll on the constitutional amendment election, about the different potential results based on one’s interpretation of the data and expectation of the electorate. One idea is to release more results based on different likely voter screens, so that anyone looking at a particular poll can decide what they think is the most likely outcome based on their own expectations about the electorate. As we consider this and other ideas, we’ll continue looking for new ways to leverage the transparency we already practice to more actively engage users in an ongoing discussion of Texas politics. Correction: A previous version of this post had Ken Paxton's actuals in the attorney general table as 45; the correct number is 44.